Construction Equipment and Materials | Saint-Andre, Grand Falls, Edmundston, NB & Presque Isle ME | Truall Building Components Inc.
Do You Need Building Components? We design and fabricate roof trusses and floor joists in Grand Falls. Plus, we deliver to all of New Brunswick and Maine! 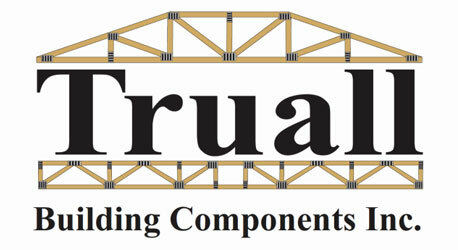 Truall Building Components Inc. is your local solution for top-quality building components. We make and sell Parallam beams, ICF blocks, wooden joists and engineered hangers. We also offer pre-fabricated walls, steel and wooden web floor joists and baby barns. We supply contractors, lumber yards and individuals in the New Brunswick area with construction materials. Call 506-473-2042 today to place an order for any of our products. Install a durable, long-lasting roof with steel and wood trusses. What engineered products do you need? Call now to learn about our products. We sell custom wood and steel web floor joists. Browse our selection of pre-fabricated walls and panels. We offer impeccable customer service. We use only the best materials available. We can design components to meet your specific needs. We engineer your designs to meet code requirements. We use advanced software to create 3-D designs. Copyright © 2019 Truall Building Components Inc., all rights reserved.